Housed inside an old church, Dear Abbey is an absolute café gem. The venue is wonderfully inviting with plenty of natural streaming through whether you seat in corridors, terrace or main glass room. The menu is dedicated to the deliciously inventive dishes made from fresh produce with the focus on flavour. We shared two dishes during our visit and loved them both. The dish of Japanese seared yellow fin tuna featured generous slices of perfectly seared sesame encrusted tuna which went wonderfully with tart pickled beetroot, cocktail onion, radish, garlic, wasabi sesame seeds, wasabi mayo and finished off with ginger soy. This dish was well balanced, loaded with umami and complex. The Lamb back strap was similarly stunning. 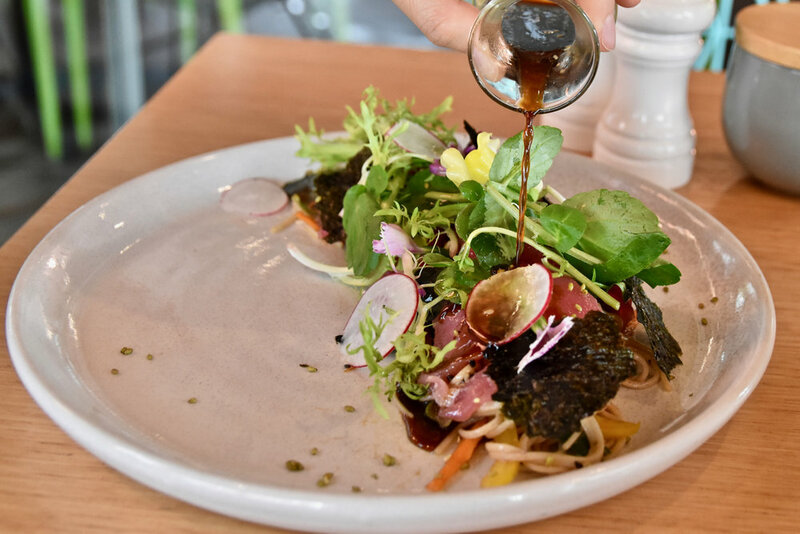 A wonderful amalgamation of fresh flavours featured in the accompanying freekah salad was a marriage made in heaven when eaten with the tender slices of lamb. 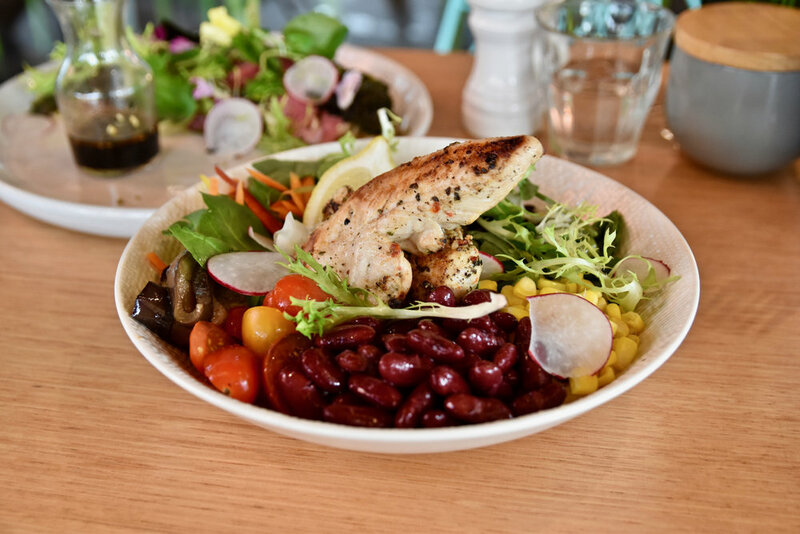 Melbourne has an ever growing brunch culture, making the café industry a particularly competitive and vibrant one. 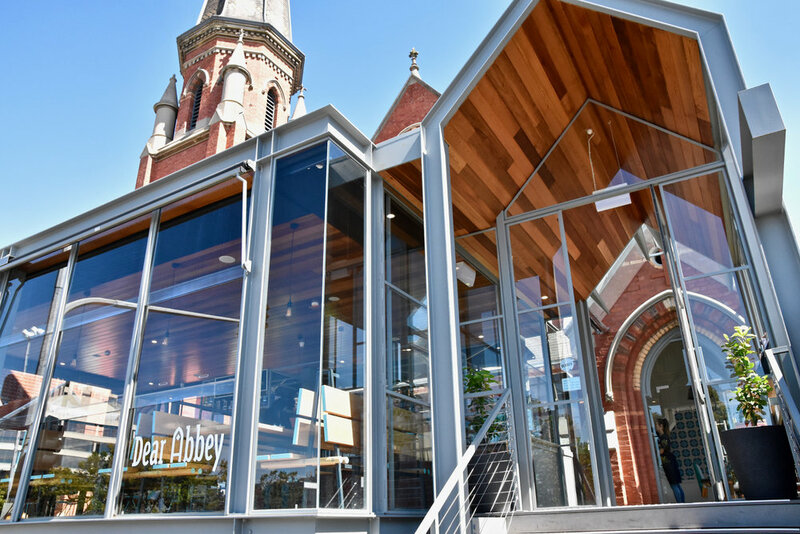 Dear Abbey stands out by successfully crafting a convivial atmosphere in which to enjoy a lazy weekend brunch - A delightful café where the creativity and execution of the dishes are particularly commendable.